How do I view my assessment results as a student in Quizzes.Next? 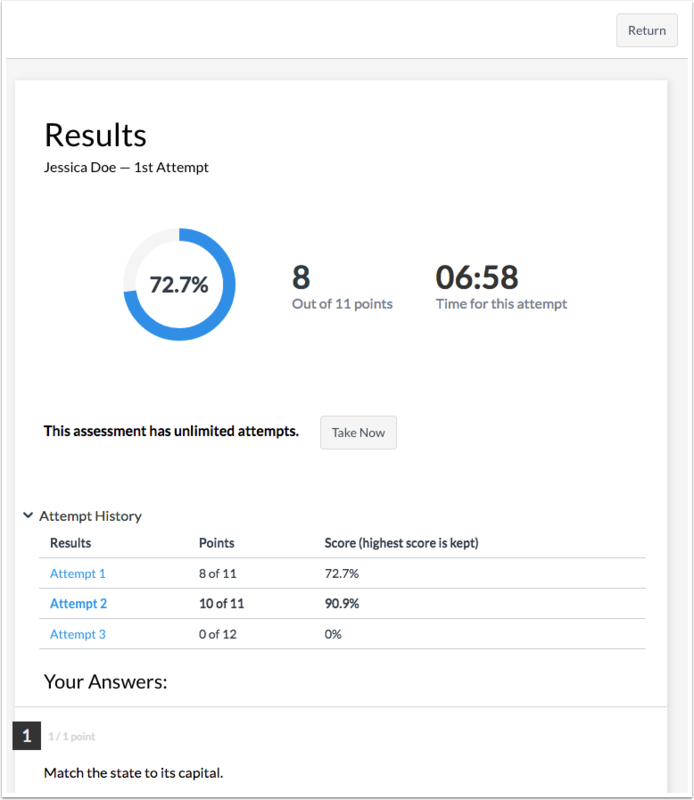 Once you have taken an assessment, you can view your assessment results for any assessment created in Quizzes.Next. You can also view feedback left by your instructor for specific answers. If your assessment results are different from the images in this lesson, your instructor has restricted view of the results page. Instructors can select to hide points awarded, points possible, assessment items, correct and incorrect indicators, and feedback. 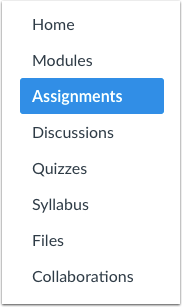 If the quiz you are accessing displays a quiz icon instead of an assignment icon, your instructor is not using quizzes in Quizzes.Next, an upgraded quiz tool in Canvas. Functionality may differ between these quiz types. For help with quiz results, please see How do I view quiz results as a student? Assessment created in Quizzes.Next display the Assignments icon . To open an assessment, click the title of the assessment . You can view the attempt history for each attempt you’ve completed for an assessment . The Attempt History table includes the points  and score  earned for each attempt. You can also view which of your scores will be added to your grades . Note: If you cannot view points in your assessment results, your instructor has hidden points awarded and/or points possible. To open results for an attempt, click the link for that attempt. View the results for your assessment. If any of your assessment questions require instructor grading, a notification displays in the Results page. If you cannot view your results, your instructor has restricted view of the results page . You can still view if your assessment submission was successful or not . You can view the total points earned for each question . Correct answers are indicated by a green checkmark icon . 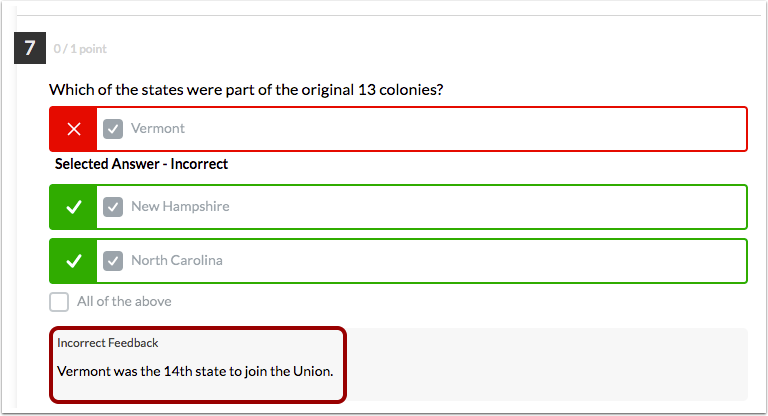 Incorrect answers are indicated by a red X icon . Incorrect answers include the solution for the correct response . Note: If you cannot view answers for assessment items, your instructor has hidden assessment items or correct/incorrect indicators. If your instructor has added feedback to a question, you can view that feedback in your assessment results. Previous Topic:How do I view quiz results as a student? Next Topic:How do I know if I can retake a quiz? Table of Contents > Quizzes > How do I view my assessment results as a student in Quizzes.Next? How do I take a Quizzes.Next assessment in the Student app on my iOS device? How do I take a Quizzes.Next assessment in the Student app on my Android device? 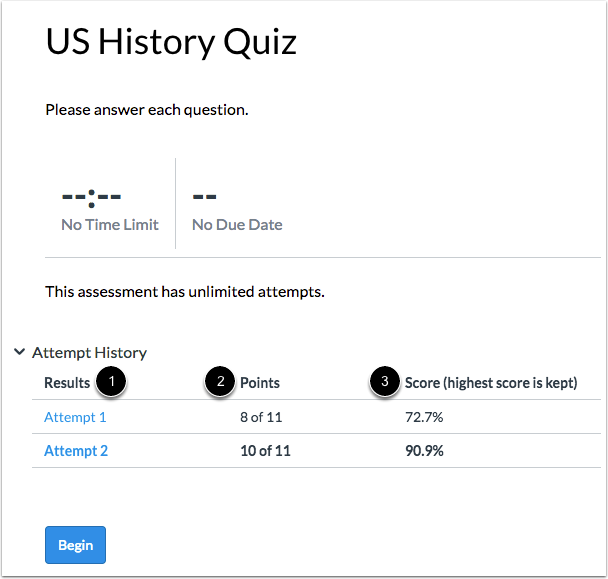 How do I manage settings for an assessment in Quizzes.Next?